Chicago, Illinois. - March 18, 2014 - Responding to the needs of food packaging, pharmaceutical, and cosmetics operations for high resolution coding on non-porous packaging, Videojet Technologies, a leader in coding, marking and printing solutions, introduces its latest innovation in thermal ink jet printers, the Videojet 8610. Utilizing fast-drying inks including MEK-based fluids, the 8610 provides high resolution print on non-porous packaging materials including films, foils, plastics, and coated stocks. Incorporating a patented cartridge for industrial inks including MEK-based printing fluids, the Videojet 8610 offers the ideal suite of performance attributes for any thermal ink jet solution on the market today. 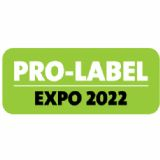 "Videojet has long recognized the growing needs of packaging professionals to in-line print multi-line codes and other high resolution marks, including DataMatrix and QR codes, without modifying their packaging designs. The innovation inherent in the 8610 is our new industrial ink cartridge technology - a fully contained, high resolution print cartridge designed specifically to jet MEK-based inks," commented Chris Riley, Vice President of Marketing for Videojet. "Coupled with the automated Cartridge Readiness System™, the 8610 print system is ready when you are, regardless of the frequency or length of common line interruptions. The result is the ability to use fast-drying solvent inks such as MEK and still achieve clean, repeatable codes time after time." With print resolutions of up to four times greater than continuous ink jet technology, the 8610 offers near-letter quality printing with excellent edge acuity, addressing a long-standing need for manufacturers trying to print high resolution marks on these challenging substrates. 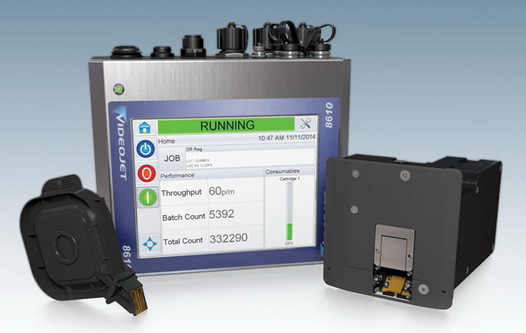 The Videojet 8610 print system is comprised of three main components - a controller with user interface, an industrial printhead featuring the innovative Cartridge Readiness System™ and a disposable ink jet cartridge. "For manufacturers with flat, controlled substrates, the 8610 is arguably the simplest MEK printing system available," added Riley. "The 8610 has been designed from the very beginning to focus on simple usability. Maintenance is minimal and only requires an occasional wipe of the print array and the shutter. Ink replenishment is accomplished with a simple cartridge change, a task that can be performed in 15 seconds or less by a novice operator. 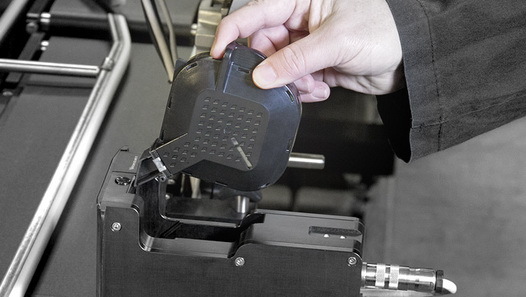 Additionally, there are no wear parts to replace and no calibration or tuning required - freeing up production personnel to focus on other line demands." "Experience tells us that having great print quality is never sufficient by itself, it must also be relevant to the application needs of our customers. 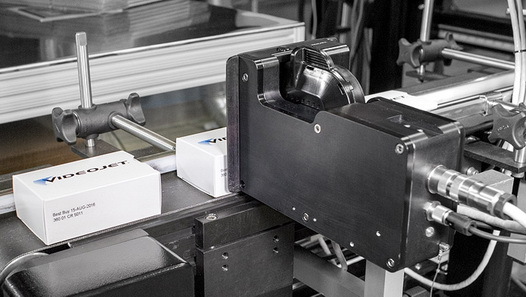 This latest Videojet innovation provides a robust industrial solution for customers with demanding applications that are currently not well served by available technologies. We strive to find solutions that meet our customers' needs and we are excited to bring revolutionary print performance and ease of use to our customers with the Videojet 8610," said Riley. For more information about the Videojet 8610 Thermal Ink Jet, call INSERT NUMBER or visit http://www.videojet.com.